The FDFA hosts the Canadian duty free industry’s annual convention – an exclusive premier event for members. For information on qualifying for membership, please contact us. 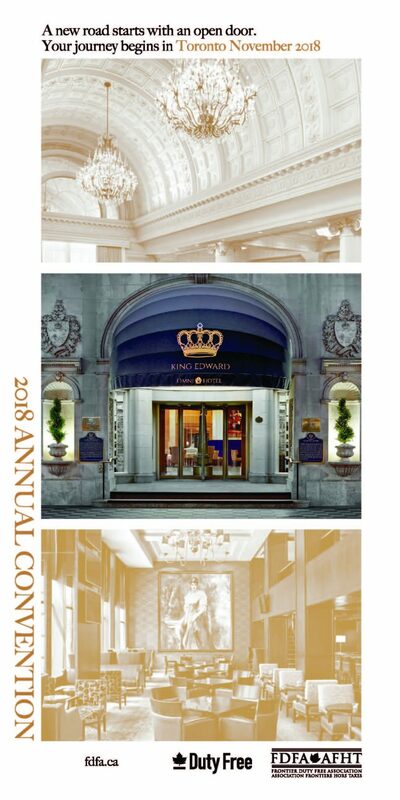 The next FDFA Convention will take place at the King Edward Hotel, Toronto, Ontario. November 4th – 7th, 2018.
Who Can Attend: FDFA members, invited media and special industry stakeholders. Members are required to login to access the Convention registration pages. If you are not a FDFA member and have a potential product or service for the duty free channel, please contact the FDFA office for information.